Collaboration, communication and problem solving are among the key skills NASA engineers and astronauts use to solve problems and it’s something educators can stress in class, said Becky Kamas. Kamas is the STEM on Station Activity Manager for NASA and was the keynote speaker at Alvin Community College’s third annual Across the Curriculum Conference on February 8. The conference was created to provide local instructors in colleges and high schools with methods to improve classroom instruction. It is sponsored by a grant from the ACC Foundation. The conference featured several speakers on a variety of issues facing educators. Instructors attended the conference from local universities, community colleges and school districts. “There’s so many topics that will help us serve our students better,” said Dr. Cindy Griffith, ACC vice president of Instruction. 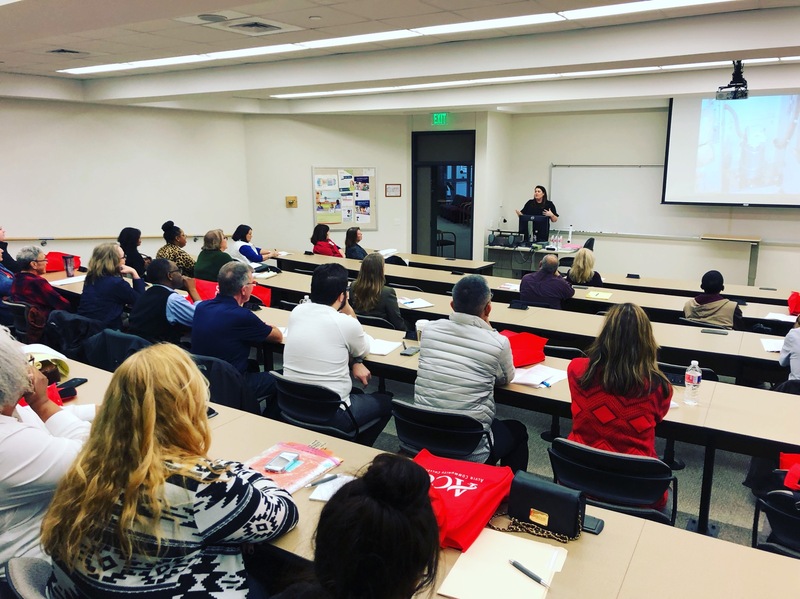 The conference seminars included issues such as: publishing, student engagement, classroom innovation, active learning strategies, formative feedback as well as information sessions on educational software platforms. The conference also featured a student discussion panel. Kamas talked about the difficulties of space travel, the mission to land on Mars and how NASA scientists work to come up with solutions. Many of these solutions can also be used in the classroom, she said. Success, whether in education or traveling to space, often comes after many failures. Educators have to ensure that the failure doesn’t become discouragement, she said. Space missions to Mars, the Moon or the space station are complex and to accomplish that, everyone must be brave enough to try, she said. NASA STEM on Station Activity Manager Becky Kamas speaks to local educators during the third annual ACC Across the Curriculum Conference on February 8.